Sundance will have his first crop of foals on the ground this spring. Bred to top quality mares with a strong blended TB line for speed and stamina and the Holsteiner lines for jumping, gates and carriage to spare! 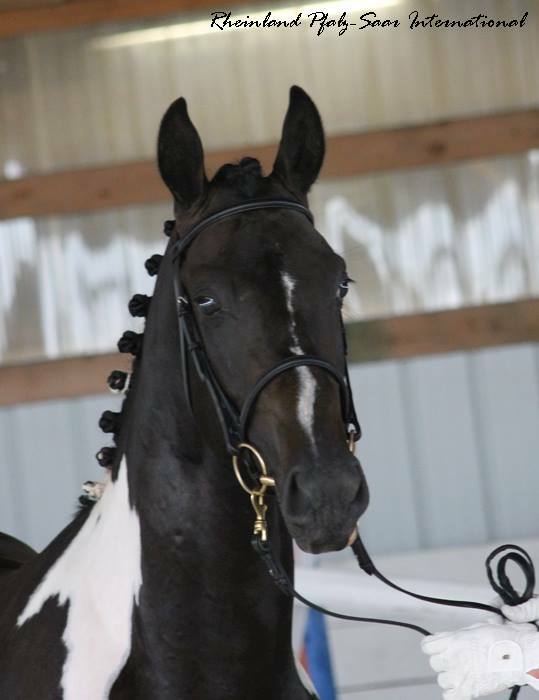 For the love of breeding the bold versatility needed to excel at the highest levels of Sport Horse disciplines, yet possessing the calm head and gentle character that makes him a joy to work with. 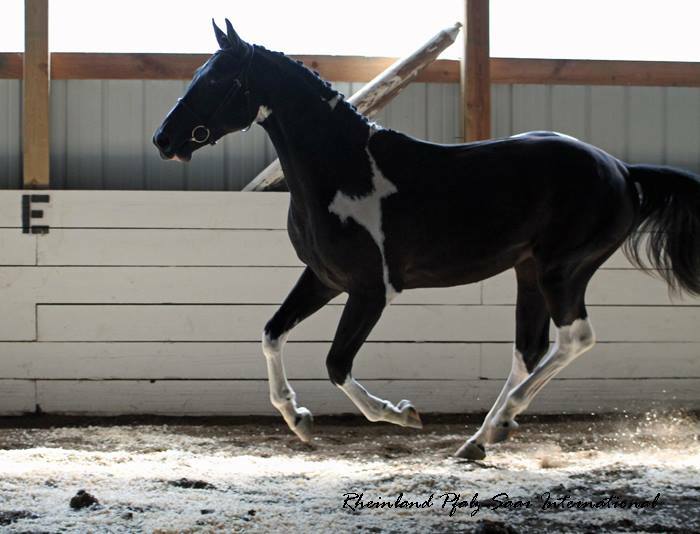 A beautifully put together mare whose Dam comes from a line of generationally consistent Champion Paint Race Horses on both sides of her pedigree with a strong TB influence. Orleandro also has a strong TB line in his Holsteiner breeding. Sapphos has beautiful correct conformation, a feminine head and neck with swinging ground covering gates. Sapphos is a blood red bay with matching long white stockings in the front and matching white socks in the back and angel wings on her back. Very stylish bit of bling. She has Novice Eventing experience and loves to jump aggressively yet can also have beginners aboard for a gentle trail ride. Sapphos is due around the first of April. Zara has the full package for talent. Huge elevated gates and a jaw dropping jump that has the genetic second bounce in the croup adding extra clearance. Awesome to watch. Natural up hill and collected carriage. Zara has a strong square build with wonderful Geometry. Strong and short cannon bones, appropriate angle in the pastern, beautiful marriage of the shoulder and neck and a strong and square chest and hind end. Zara who is also a bay is due in May. A bay TB who was raced and started as a polo pony. 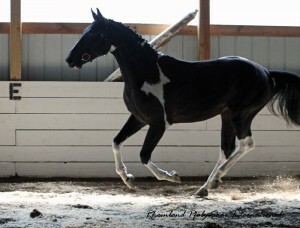 Sally is a refined light build, pretty mare, very quick and agile on her feet with plenty of speed. Sally has correct conformation and bred to Sundance will likely result in a lightening of Sundance’s substantial bone with a possibly of adding his exquisite head, neck and considerable strong shaped and sized feet. Both horses are light to the touch, quick learners and enjoy having a job. Sally is due mid August.